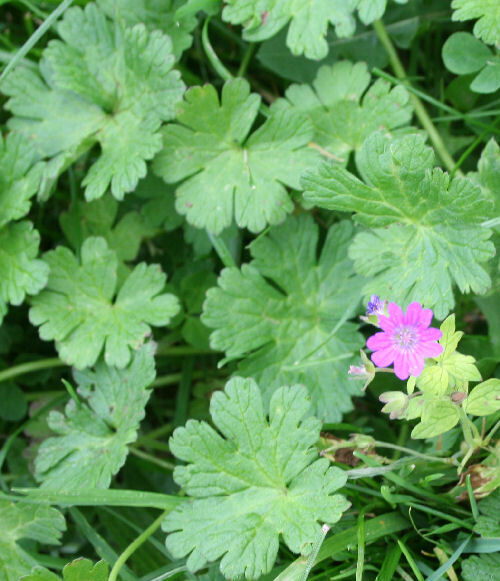 There are several types of hardy geranium native to the UK. All of them are attractive little flowers with ferny leaves in their own right, and provide nectar for many insects throughout the spring, summer and autumn. Like the garden geraniums they all grow easily in dry situations, so are good for containers, walls or between paving. Some of them like shade as well as dry, so are good for that impossible place in your garden! - and some of them compete well with grass in a wildflower meadow. 2 x Herb Robert (Geranium robertianum - main picture) tolerates shade, so is good in a woodland garden. Grows up to about 1foot high, though smaller if very dry. Flowers throughout the warm parts of the year so is useful nectar for bees and other insects. 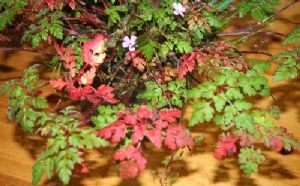 In autumn and in very dry conditions the beautiful ferny leaves can turn a vivid red. 1 x Dove's foot cranesbill (Geranium mollis- pic2) the common name comes from the leaf's resemblance to the feathered feet of fancy doves - food of a number of caterpillars. 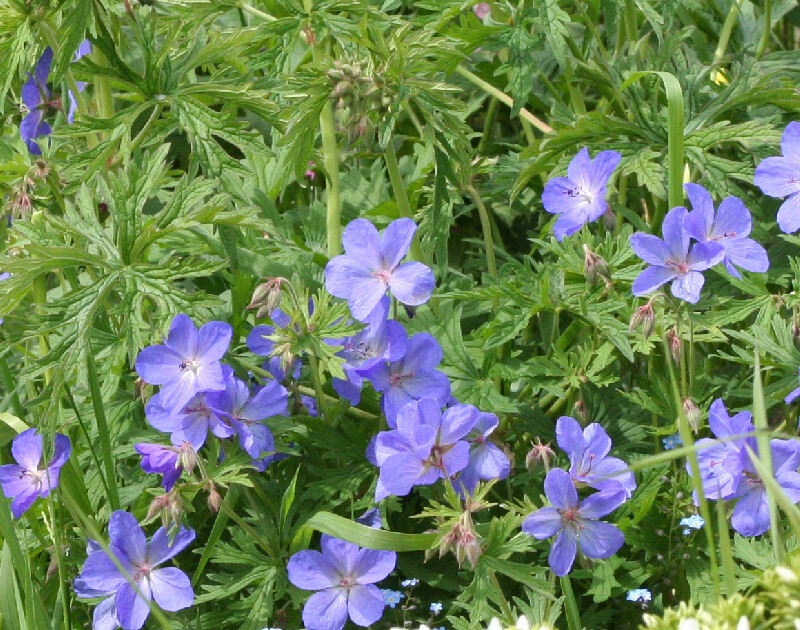 1 x wild blue geranium (Geranium pratense - pic3) - grows the tallest (about 1m) and competes well in a meadow. 2 x Shining cranesbill (Geranium lucidum -pic4) tiny pink flowers on a neat low mound of shiny green scalloped leaves. Makes good ground cover in a sunny situation, tolerates living near the sea in sand and seeds itself around a dry path.